If you'd like a hint at who is doing better than expected, take a look at who the majority of the candidates in the race are attacking. 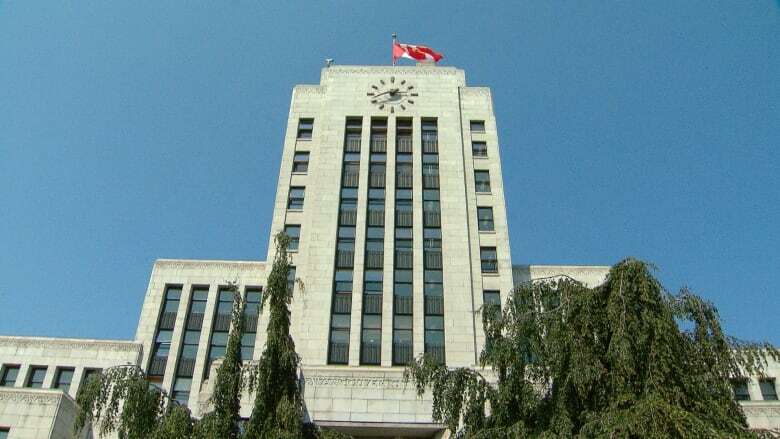 Want to know what really matters for the municipal elections in Metro Vancouver? This is your newsletter. Reading this online? Sign up to get it delivered to your inbox every Thursday. Do you know who's going to become your mayor next Saturday? We can all guess, but there's a reason there's no aggregate poll trackers for local elections: we don't have public polls (excluding Vancouver, but even there, only one pollster has regularly been in the field). Counting the Facebook likes/lawn signs/Twitter followers isn't a reliable sign of broad-based support, and anyone promoting online polls as an accurate arbiter doesn't know what "self-selection bias" means. But if you'd like a hint at who is doing better than expected, take a look at who the majority of the candidates in the race are attacking. In Vancouver, that means Kennedy Stewart is getting attacked from all sides, for having both unions canvass in his favour to not speaking out against demovictions in Burnaby. In Surrey, it meant Tom Gill and Bruce Hayne spent much of a debate two nights ago attacking Doug McCallum and the feasibility of his plans for an independent police force and SkyTrain to Langley. In Burnaby, Derek Corrigan is spending more time going after Michael Hurley for his record with the fire department than you would expect for a five-term mayor who has put the city in tip-top financial state. Are people doing this because of what internal polls say and the fact negative campaigning, as much as people lament it, often works? But there's a downside as well. After all, the more time you spend attacking someone else, the less time you have to tell voters what you stand for. The number of days remaining to campaign is in the single digits and things are getting tense — but more often than not, the axiom by Maclean's journalist Paul Wells holds true: the candidate who auditions for the job of opposition leader will get it. Has a union staffer door knocked and given their spiel on preferred candidates? Not everyone is a fan, but Elections B.C. says it's all above board and not breaking any rules on third-party advertisements. The mood is tense in Maple Ridge: the ever-growing municipality probably has had more rancour around housing its homeless population than any other city in Metro Vancouver, with three potential housing locations rejected for a variety of reasons. The new mayor and council will face a challenge bridging the gap between business and homelessness. Over on the Island, Nanaimo council candidates have their own ideas how to get people off the streets and into homes. Among the ideas: addressing systemic causes such as low incomes and rezoning with proper consultation. Donald Flintoff wants to halt the construction of homes larger than 3,500 square feet. Roy Sakata and incumbent mayoral candidate Malcolm Brodie say the way to go is a change in tax policy to ensure the land is properly used. Missed the Surrey mayoral debate co-hosted by CBC and UBC? An independent police force and the scrapping of LRT to Guildford and Newton were the night's biggest topics. What are some common themes across the province in this upcoming municipal election? Check out this podcast from B.C. Today, with reporters from Victoria, Prince George, Vancouver and Kelowna. Remember that bit about negative campaigning showing who's ahead? Let's talk about the City of North Vancouver! Coun. Rod Clark, former councillor Guy Heywood, and runner-up in the last mayoral race, Kerry Morris, have all been attacking Coun. Linda Buchanan as a clone of outgoing Mayor Darrell Mussatto, claiming she cares all about development and not about affordability, traffic or quality of life. The problem with that? Well, Mussatto won four elections in a row. And with three candidates having such a similar message, the anti-Buchanan vote could easily split. Plus, Buchanan has her own thoughts about being referred to as a mini-Mussatto. Read that, here. More than anything else, "people are awful on social media" is the number one reason cited by people who aren't running again for office. And it's true: social media can be terrible. And those sorts of attacks can be incredibly unsettling, if you became a politician in an era where anonymous people weren't hurling threats or harassment at you on a daily basis. On the other hand, the number of local politicians seeking re-election in B.C. is down about 10 per cent from four years ago. That's a decent number … but it doesn't suggest a huge wave of people stepping down solely because social media has gotten worse. And if we can be cynical about politicians for a second (perish the thought), blaming social media can be a convenient way of acknowledging criticism for your leadership, while taking no responsibility for it. Only just signed up for Metro Matters. Are there any past newsletters that have been archived and which I can access? — Anne Wright. Yes! You can find all of our newsletter archives here. We want to help you make informed decisions come voting time, so if you have questions, send them in and we will work on getting you the answers. Drop us a line at metromatters@cbc.ca. Have you tweeted who you intend to vote for? With so many candidates on the Vancouver ballot, it's been a challenge to figure out which ones align with your political views. And as Frances Bula writes, it looks like more people have been tweeting their slate lists precisely "because there are so many more choices. People very committed to one particular group are still trying to figure out who to add to their list." One such slate is on the VAN YIMBY (Yes In My Backyard) website — there's no contact info, name, profile description. The website is promoting its own slate and breaks down its views on where all the parties stand and for whom not to vote. This is what the website said about one ProVancouver candidate in particular. That's a screen grab of the website that was posted on Twitter .... the current website doesn't have that line anymore. Rezel said on Twitter that he's not the least bit surprised by attempts to "racially smear" him, and he also called out several people who he claims liked the original tweet. Hi Rohana. I did not see that sentence when I read the article. I have unliked and unfollowed, nor do I know this person. To be honest, I think it was added after the fact but I could be wrong. I'm sorry that people feel the need to be racist; but please don't slander me. I did not see that language. I appreciate you bringing it to my attention. I hope it’s obvious that I don’t support racism. Fact: Less than 10 per cent of councillors in the region are visible minorities. There's been pretty much two types of reaction to this chart. The first is people essentially going "duh." It highlights what Justin, who has been attending public events every single day of this campaign, could easily tell you: local politics skews much whiter than other levels of government. And then there are people who have essentially said "Who cares? Why is this a story? Isn't who is most qualified the only thing that matters?" To which we'd say two things: first, many people care about adults from all demographics being represented in government and for good reason. But second, there are 1.2 million men in Metro Vancouver, and 1.19 million people who identify as a visible minority. If less than 10 per cent of councillors were men, you're darn sure we'd be hearing plenty about it. North Saanich has possibly the most civil race, writes the Times Colonist. Geoff Orr took a few minutes this week to repair two vandalized campaign signs — his own and his opponent's, "because it is the right thing to do." Should Kelowna get its own municipal police force? What about a new performing arts centre, and how do you pay for that? B.C. Local News has the recap of the mayoral debate. The NPA has released its donor list. Developers and prominent business people are among more than 4,400 people who helped the party raise $837,200. More from the Vancouver Courier. Bonus percolator/ICYMI item: OneCity has shared its platform in music. Because, why not? Correction: In the previous edition of the newsletter, we included a social media post from a staffer on Tom Gill's campaign and failed to identify him as such. It was an oversight and we'll do better next time. That's it for us! Check out the latest headlines at cbc.ca/bc and follow our municipal affairs reporter, Justin McElroy and social media editor Tamara Baluja on Twitter. If you have any questions about the municipal election, drop Justin and Tamara a line at metromatters@cbc.ca. Is the Vancouver mayoral race the dullest part of an exciting election?